Pour one out for the Alliance of American Football, which suspended operations this week with less than a month remaining in its maiden season. 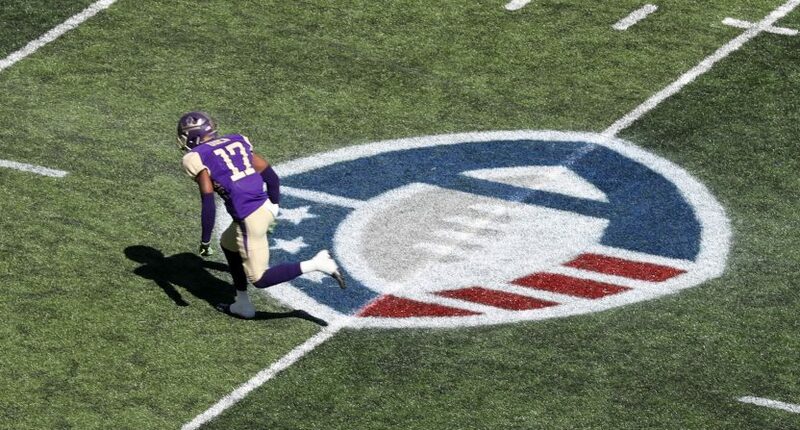 The AAF joins the original XFL, the USFL, and the WFL in an expanding graveyard of failed alternative spring professional football leagues. Minor League Baseball (MiLB) is generally successful because it’s a product of Major League Baseball, rather than a competitor. Sadly, AAF chairman Tom Dundon realized this but couldn’t get the NFL to agree to share some of its players, and the absence of a deal between the AAF and the NFLPA looks as though it was the final nail in the AAF’s coffin. This wasn’t entirely financial, and television ratings weren’t bad. The AAF never intended to fully compete with the NFL and always saw itself as a developmental league. The problem is it put the cart before the horse and launched before it was able to strike a satisfactory agreement with the NFLPA regarding player lending. There’s a good chance that agreement never would have come. The AAF product wasn’t good, nor was the XFL product back in 2001. Youth and high-school football participation rates have been steadily declining for years. The NFL has 32 franchises but fewer than 32 franchise quarterbacks, and even fewer shutdown cornerbacks or reliable left tackles. The reality is there just aren’t enough great football players in America to fill two high-quality pro leagues, especially if they aren’t even able to agree to share low-level players. It’d be a little easier for a spring football league to survive if the spring weren’t such a compelling time for the business of NFL football. The scouting combine, free agency and the draft dominate the headlines throughout February, March and April. May, June and July are slower, but that’s a small window, it’s hard to capture people’s attention during the summer, and it’s likely a lot of football fans need a breather for at least a few weeks. This is one huge advantage Minor League Baseball — and to an extent the American Hockey League and the NBA G League hold over the AAF or any other second-rate pro football league, and there’s nothing the AAF, XFL, USFL or WFL can/could do about it. Your local minor league baseball team doesn’t likely have a rabid or massive fan base either, but they’re probably somewhat of a fixture. Teams in the two national Triple-A level leagues play 70 home games per season. It’s something to do on a Tuesday night in Pawtucket or Norfolk or Albuquerque, it’s cheap and it’s often quite fun. The long season enables teams more flexible with theme nights and various promotions. A pro football team can’t establish that presence because there just aren’t enough opportunities. From a marketing standpoint, football has always been at a disadvantage compared to basketball and baseball simply because players generally can’t stand out like they can in those sports, both literally and figuratively. Fortunately for the NFL, it has all of the good quarterbacks and it has already captured the hearts of American sports fans. But if you’re starting from the ground up and you don’t have any recognizable names or faces, it’s incredibly difficult to get folks to care. MiLB, the AHL and the G League also have to deal with this problem to various degrees, but they offer a potential glimpse into the future and it’s a little easier when you can promote these players in an up-close-and-personal manner (the Big3 really benefits from this). The AAF faced a taller task. Maybe it should have given Colin Kaepernick his $20 million. The AAF had a ceiling. It knew it. We all did. That ceiling is probably somewhere in the range of what the Minor League Baseball system has become. And the reality is minor-league sports aren’t generally profitable. Investing in the AAF had to be a slow play, not a get-richer-quicker scheme. Co-founders Charlie Ebersol and Bill Polian had a three-year plan, figuring it’d take at least that long for the AAF to become something that could stand up on its own. Dundon was essentially an angel investor who didn’t have that kind of patience and got out after losing $70 million in seven weeks. Now, especially with Dundon’s experience working as a cautionary tale, it’d be even harder to find a savior who would be willing to take a risk and wait that long for a long-shot return. The good news for the soon-to-be relaunched XFL is it doesn’t have to woo venture capitalists. Vince McMahon is taking care of that. But it’ll be damn near impossible for the McMahon’s newest challenger to overcome the rest of those obstacles. Might want to save some room in the graveyard.